State-of-the-art analysis of outside and inside surface contamination to identify and eliminate problems. 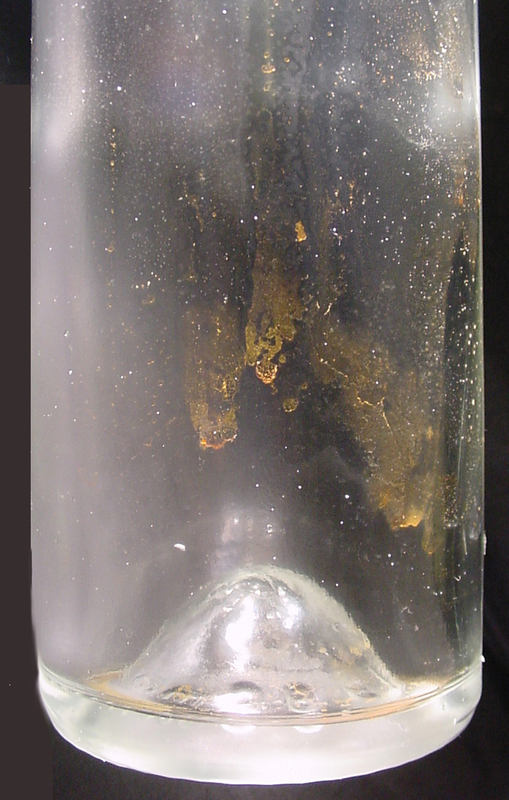 At virtually any point in the process stream, glass articles can become contaminated with unwanted foreign materials. These flaws are not only unsightly, but can also present concerns over strength loss, product performance, brand image, and, in the worst cases, consumer health. Foreign material embedded in the glass from the manufacturing process. In containers this can lead to strength loss or product foaming on the filling line. Packaging contaminants inside of containers consisting of adhesive, carton dust, lubricants or coating materials-all can affect the test and/or health aspects of filled goods like pharmaceuticals or beverages. 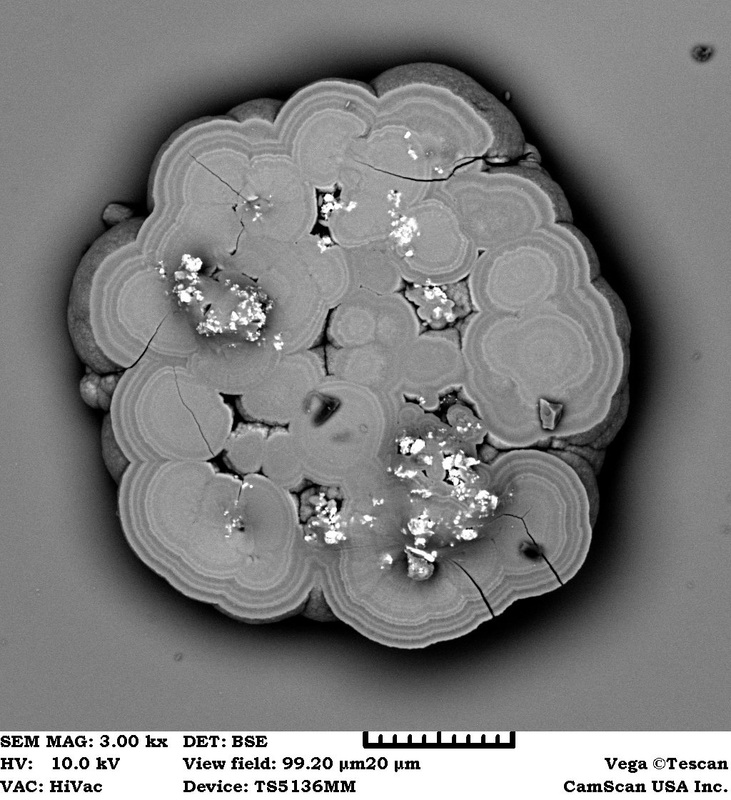 Unusual hazes or stains caused by a variety of species ranging from shipping and handling to mold growth or glass corrosion. 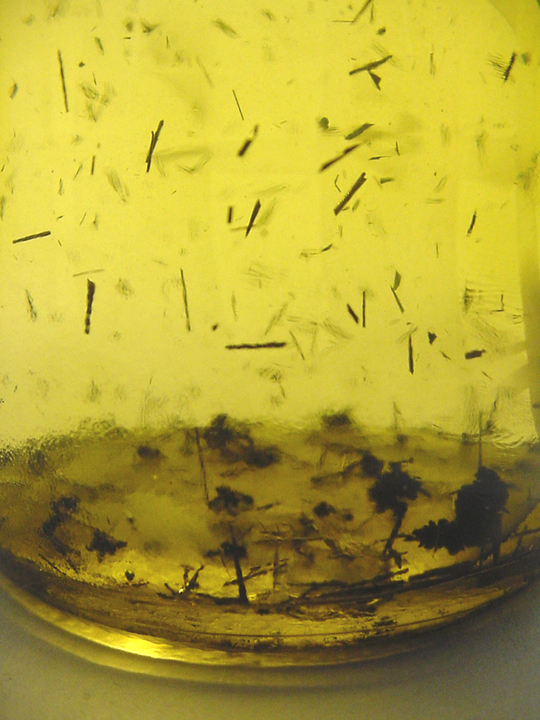 Poor label adhesion or distorted inkjet codes stemming from glass surface contamination. 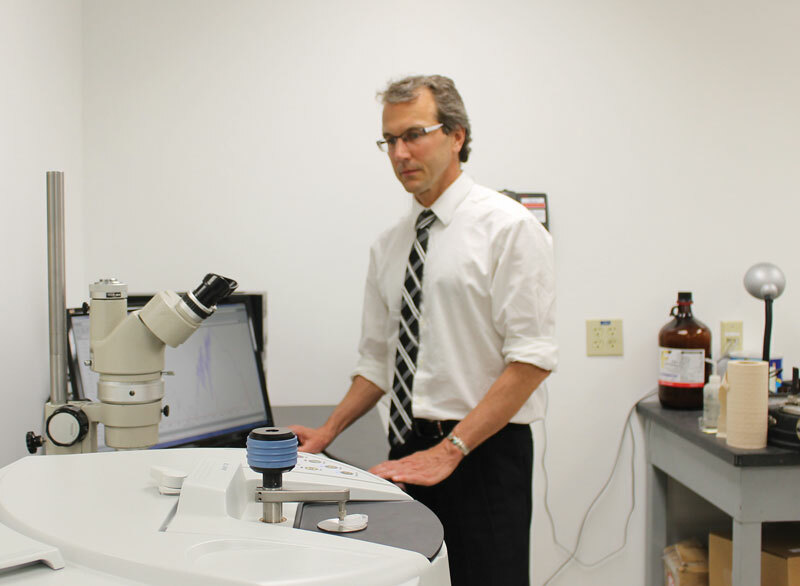 We are fully equipped for any of these situations with state-of-the-art analytical capabilities such as scanning electron microscopy (SEM), x-ray spectroscopy, and infrared spectroscopy (FTIR) techniques. Enhancing these abilities is our experience with the manufacture and use of glass products-knowledge. If you are experiencing a contamination problem and need real answers, please do not to hesitate to give us a call. There is no upfront charge to speak to one of our experts, and we can discuss how our services will benefit you. If testing is pursued, a formal report-written in plain language-will be prepared at the end summarizing our procedures, results, conclusions, and recommendations for eliminating the contaminant. Pricing is based on time, materials, and equipment usage, and a cost-free, upfront quote for service is available upon request. If necessary, American Glass Research personnel are available for on-site inspection and consulting as well.